Last month, we passed along some information about the next-generation Google Nexus 7 tablet. On Wednesday, some of that information was confirmed by a leaked screenshot that revealed alleged pricing information for the slate. According to the leak, the 16GB model will be priced at $229 while the 32GB variant will cost you $269. The information matches up with the earlier leak which had the retail price of the revamped model starting as low as $229. And as you can see, the screenshot also shows that this particular retailer has "0" units on hand which means the product has yet to ship. As far as specs are concerned, recent information suggests that we could be looking at a 1080 x 1920 resolution screen, a 5MP camera and quite possibly Android 4.3 running the show. We also just might see the Tegra 3 that currently runs the Google Nexus 7, get replaced by the Qualcomm Snapdragon 600 processor. 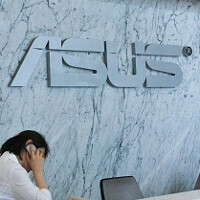 The only thing we need is a launch date, and if the ASUS produced tablet is starting to get listed on retailer's inventory screens, it would seem plausible to expect the next-gen Google Nexus 7 to be introduced soon. Google is an online ads company, so it would make perfect sense to get rid of the WiFi only / cellular separation and include all the antennas bumping prices a little - and it's very possible that the $229-$269 offer means exactly that. Looking awesome! Thank GOD they abandoned the 8GB Version this year. $229-$269....The price is just...AWESOME! Bring it on, Asus! That's the way to do it. Price it well below the iPad mini and equip it better than similarly priced Galaxy Tabs. Make yourself THE highest tablet value. I think I'm definitely buying a Nexus -- THIS Nexus this year. With an iPad in the household already, I don't think I could justify the purchase of a Nexus 7. It'll be very very tempting though, especially with the FHD screen. Not the case here! It'll be my first! I keep waffling on the idea of a 7" tablet or e-reader. Something to read and write with, but small enough to stash in an overcoat pocket. I've waited for prices to come down and quality to come up, and now you can get an FHD tablet for what people paid for an e-ink Kindle a few years back. Pretty impressive. but not awesome for ASUS dude. But when the 16gb launched in India it will be priced around 350USD.What the f***? are the bottom 3 devices the same thing? Probably wifi or non wifi only versions or maybe even different colors! Excellent glad I skipped the first nexus. With Barnes & Nobles blowing out their Nooks HD and HD+ at $149, it's going to be tough sellung at $229, the different spec's notwithstanding.